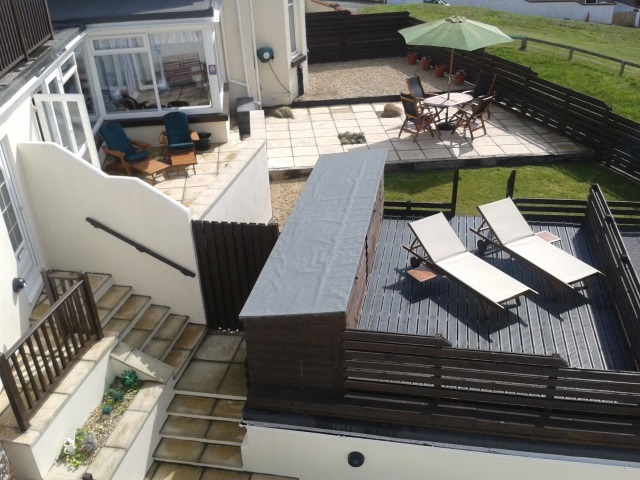 Pot and Barrel offers wonderful adult only bed and breakfast accommodation on the outskirts of Bude on the seafront in Cornwall. Our guest house boasts stunning sea views, creating a peaceful and tranquil place to stay. The Green Room is a double bedroom that is located on the ground floor. It comes with a king size bed. This room has a luxurious bathroom with a spa bath and a large separate shower. The Gold Room is located on the first floor and has another double bed. This room also has an en suite as well as a beautiful south facing balcony. Guests also have use of the sun lounge where there is comfortable seating and stunning views over the sea. There is also a guest’s lounge where there are again stunning views, comfortable seating, a TV, board games, books, magazines and a cosy fire. Breakfast is served in the dining room where there is a range of food available, including cooked and continental options. Some of the food available includes fresh fruit, cereal, smoked salmon, smoked haddock, full Cornish breakfast and much more. Brunch and dinner is also served at the B&B. 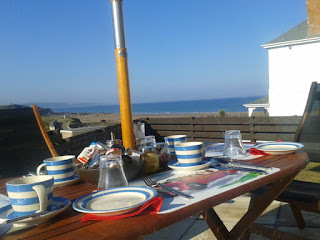 Bude is a popular holiday destination with a wide variety of attractions and activities available. The beaches offer great places to relax, rock pools to be explored and give you the chance to try out some water sports or maybe even a fishing trip.